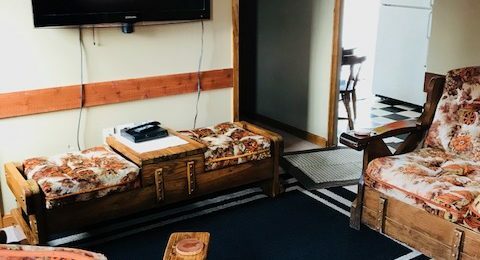 Rustic Cabin: This cabin is very homey inside with 3 bedrooms, a full bath and complete kitchen. 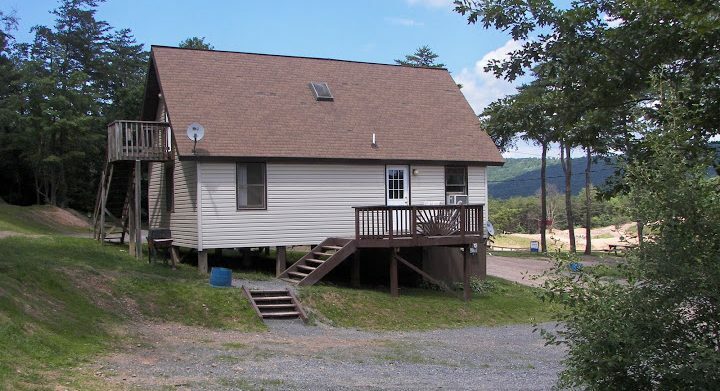 Outside there is a very nice deck with picnic table along with a grill and firepit. 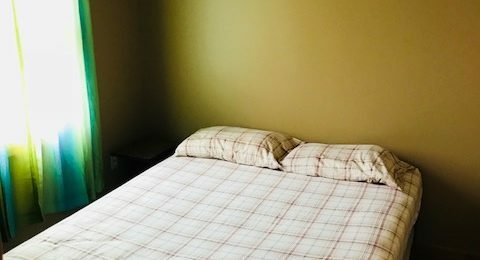 The rooms are small, but very clean and comfortable. 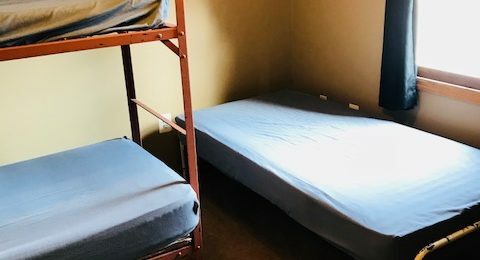 The beds have fitted sheets, you’ll need to bring covers or sleeping bags. 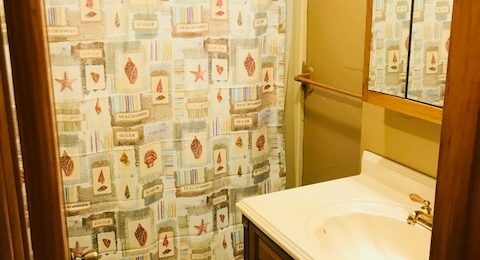 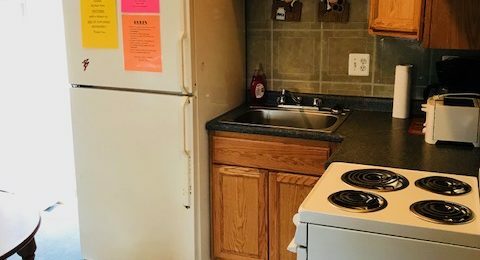 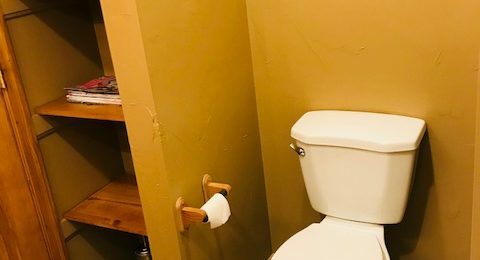 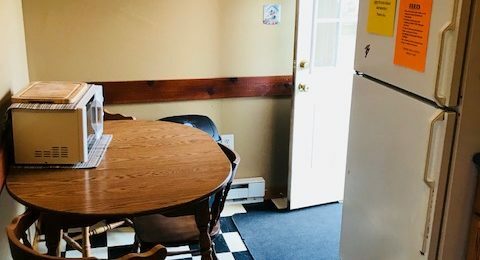 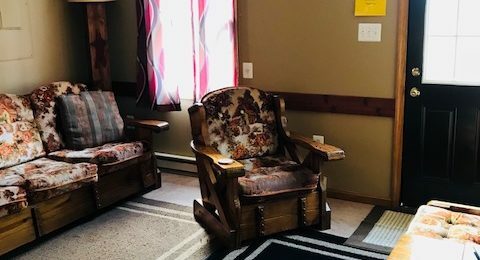 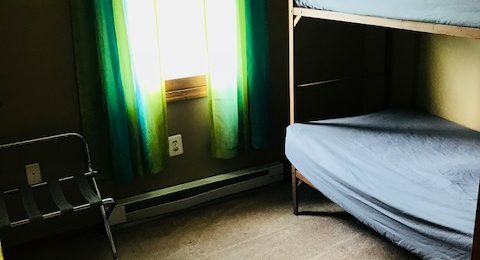 The kitchen has pots, pans and other cooking utensils, you’ll need to bring paper plates, cups forks etc… The bathroom has toilet paper, you’ll need to bring soap, shampoo, towels etc… This rental has a 4 person minimum.